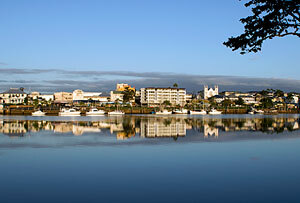 Innisfail in the Cassowary Coast Regional Shire (population 18,000, town of 9,000) is positioned in the heart of the Cassowary Coast and is situated 88km south of Cairns and 260km north of Townsville. Both those cities have direct air access to overseas markets. 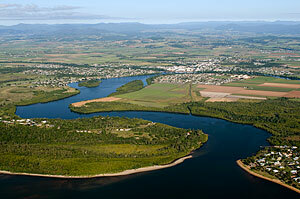 Explore Innisfail in our 3D VIRTUAL REALITY MOVIE GALLERY. See 360 degree views of various locations around Innisfail. Click here to enter the VR Gallery. The area is well serviced by road, rail, air and sea. All the major coach companies provide daily connections north and south. 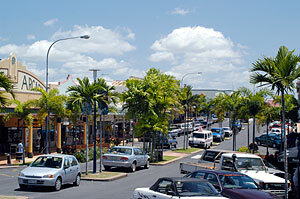 Innisfail is on the Bruce Highway and the Palmerston Highway connects us to the west with Atherton Tablelands (and beyond to the Gulf Savannah). It directly accesses over 101,000 sq. kms of highly productive land - grains, tobacco, potatoes, mangoes, avocado and dairy products being produced. Smaller productions of melons, coffee, show the diversity of produce available. It is fast becoming the service centre for the region between Townsville and Cairns with most major chain stores having a presence. These include Coles, Woolworths, IGA, Kmart, Country Target, Home Hardware, Retravision, Harvey Norman, Betta Electrical, Super Cheap Auto. Also national food chains like Macdonalds, Hungry Jacks, KFC and Subway add to the many local eateries giving the residents a large choice. Our International deep water port at Mourilyan Harbour caters for cargo and freight ships and is being used for a sugar handling facility, with ships up to a draught of 8 metres being able to enter. 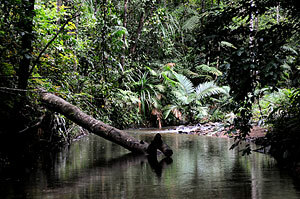 The region, first settled more than 110 years ago, developed as a sugar growing and timber producing area. 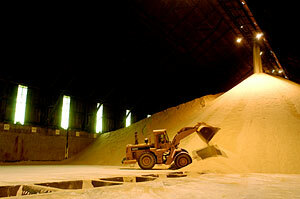 Sugar is still the economic base, with total sugar revenue having a gross value in excess of $87 million, and total cane revenue valued at $55 million. 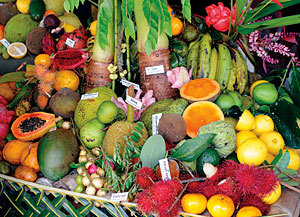 The majority of the banana farms in the Cassowary Coast region can grow a wide range of horticultural crops. The plentiful water and warm weather are necessary for fruits like Papaya, Passionfruit, Lychee and Rambutan to produce high quality fruit that regularly fetch above average prices at the market. Ornamental horticulture is a growing industry with many businesses having established interstate and future export markets. Heliconias are grown locally to serve local & interstate markets. Many facets of aquaculture production are in operation, producing prawns and barramundi. There are ready overseas markets for the hatched prawns being produced.